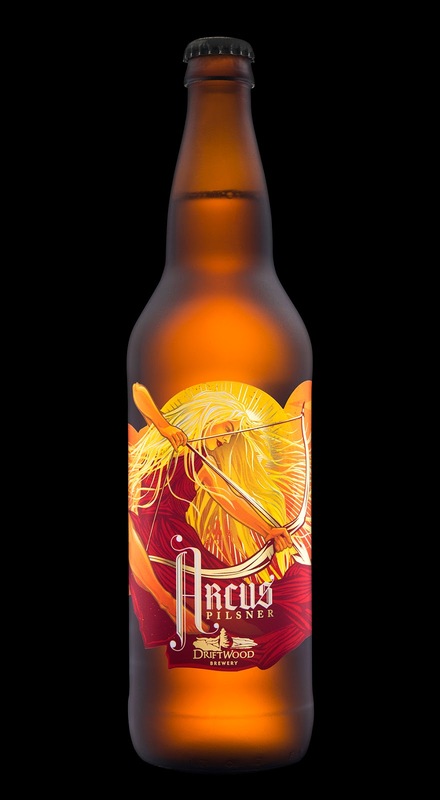 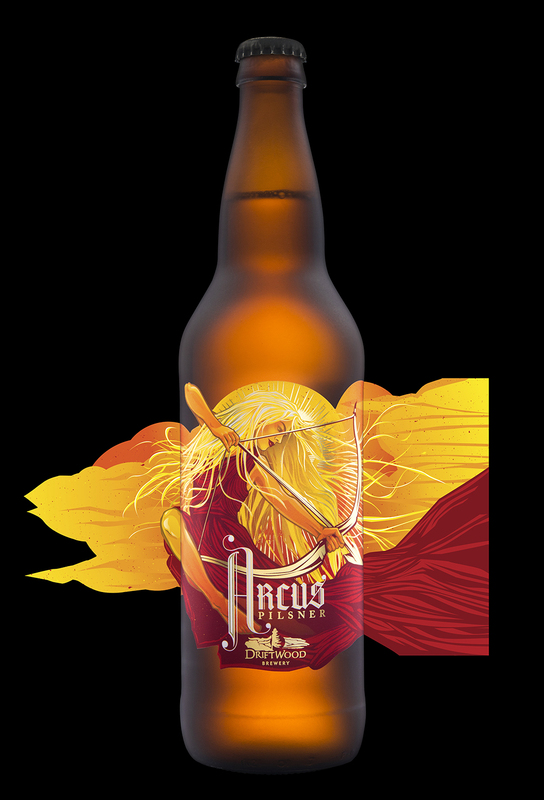 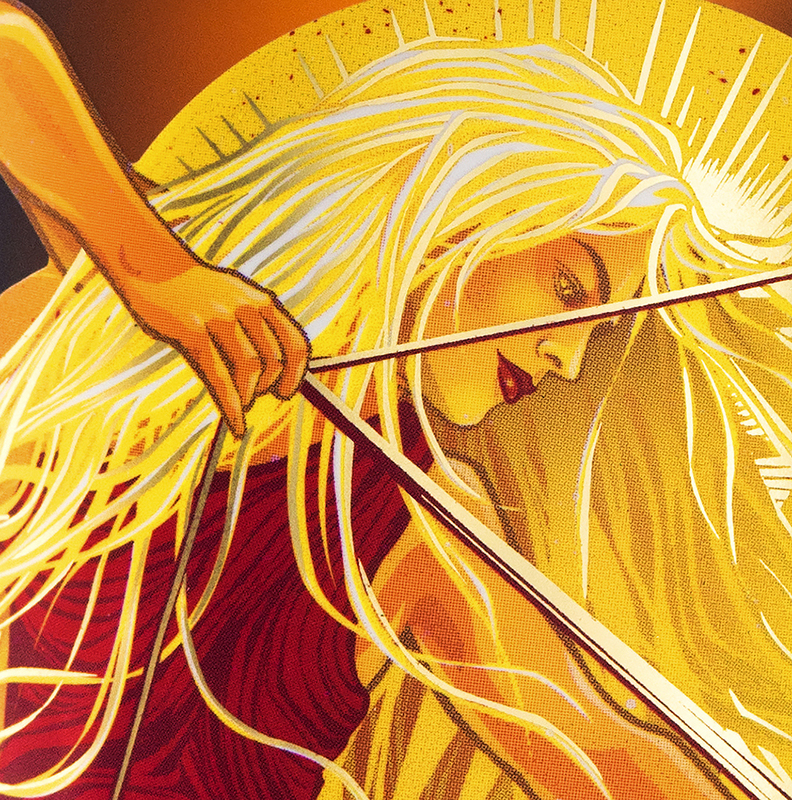 For Driftwood Brewery's new Arcus Pilsner, named after the Latin word for both an archer’s bow and the arc of the sun, we created a Sun Goddess, firing her golden rays down from the sky. 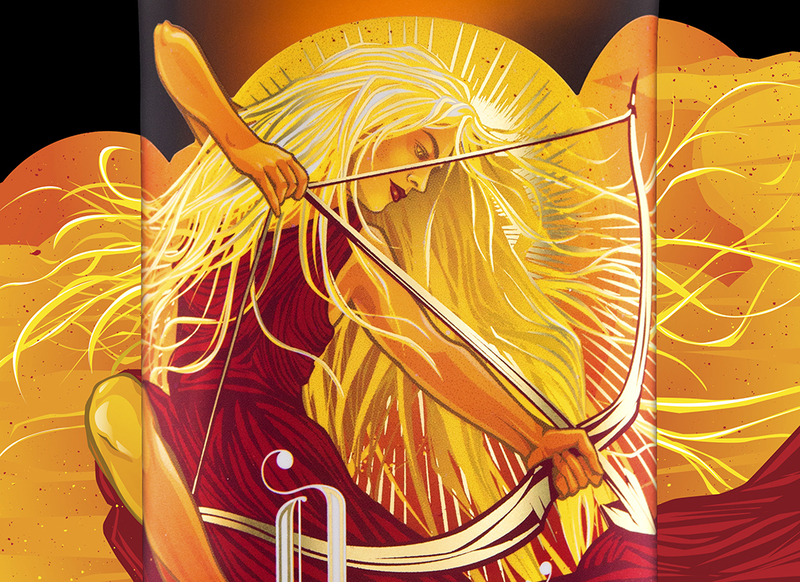 Against a backdrop of orange clouds, our archer’s strong diagonal pose and long flowing dress and hair give the label a vibrant, dynamic feeling with mythic qualities. 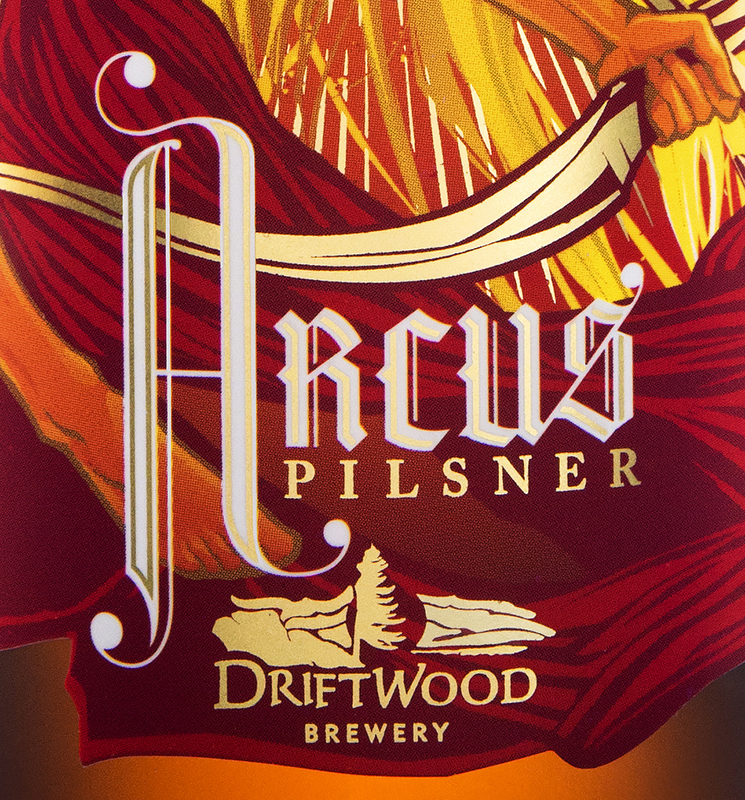 The custom typography features the bowlike ornaments of the capital ‘A’, paired with the arrowhead median spurs of the blackletter. 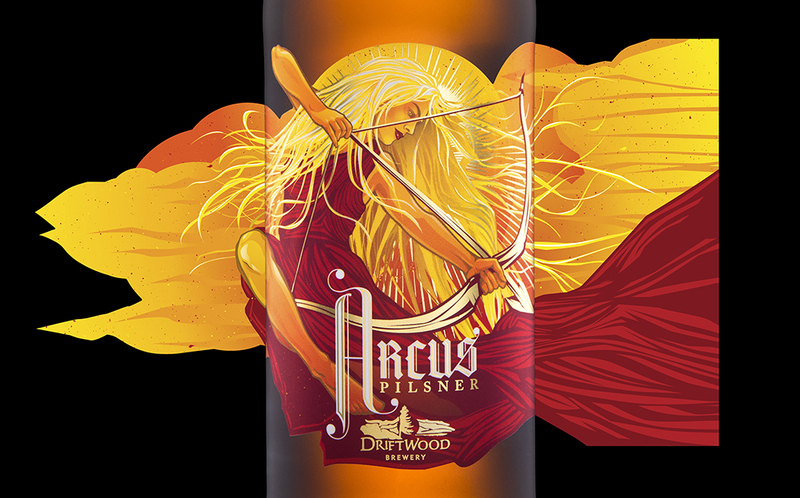 Finely detailed hair and sunburst contrast with graphic bow and arrow, all rendered in gold foil to let Arcus shine.